Every year the town I live in has a weekend-long spring festival. There are rides for the kids, live music, beer, and lots of food. This year I have a great view overlooking the carnival area, so I decided to do a time-lapse video capturing all of the activity. The trucks pulled in before I got to the office on Thursday morning, but I managed to capture most of the set up, all the way until the trucks drove away on Sunday night. I set up two GoPro cameras. One was a stock GoPro Hero 3+ Black edition capturing 7MP narrow FOV stills every 60 seconds. The other was a GoPro Hero 3 Black with a “flat” lens capturing 5MP stills every 60 seconds. Unfortunately the 3+ stopped recording after about 24 hours – I’m not sure if the camera over heated, had a bug in the firmware (I realized I’m 1 version back from the latest), or if my memory card had a corrupt sector. The image sequence for Thursday is from this camera. The backup camera kept running all 4 days and captured the entire festival. Assembling this was simple – I imported the images as image sequences in Adobe Premiere, arranged them on the timeline, cut out the night sequences (there was almost no activity during them), added some transitions, titles, and color correction (contrast and saturation), then added some background music. I added slow zooming and panning to each of the shots to add drama, which helped make things a lot more interesting. I just put together a walkthrough of creating an aerial panorama from images captured with a GoPro camera and an RC helicopter over on Behance. Check it out for full details. Ever since Photoshop introduced 3D printer support I’ve been hooked on 3D printing. Some of my recent experiments included text extrusions, phone cases, and a dragon. While these are cool, I still wanted to kick it up a notch or two. Those models were all printed using plastic materials, and I’ve been wanting to try out a few other other materials, in particular metal. 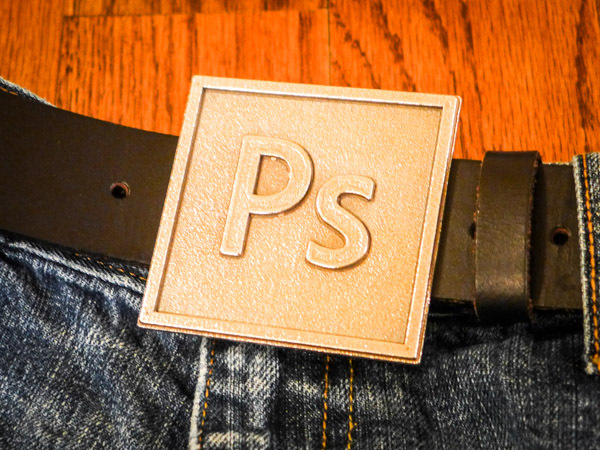 So in honor of Photoshop World coming up next week, I decided to design and print a Photoshop themed belt buckle in raw stainless steel, and it turned out AMAZING! Far better than I had hoped. I chose stainless steel because I wanted a minimalistic/industrial look for the belt buckle. The process was actually quite easy. I took a vector Photoshop logo in Illustrator, copied the PS and the square border, and pasted it into Photoshop. Then I extruded it into a 3D object, added a flattened cube on the back, and used cylinder and sphere primitives to create the belt loop and pin. Seriously, this was the complete process. I’m not over-simplifying things. Check out the video below to see a timelapse recreating this model entirely in Photoshop. 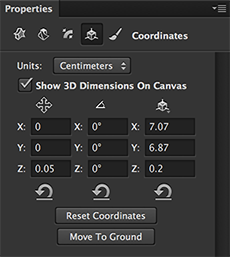 When you are creating 3D models, just be sure to pay attention to the object’s physical dimensions in the 3D Properties Coordinates panel. Set the units to a physical unit of measurement (I chose Centimeters), and create your objects using the exact physical print size. Also, it’s important to know the physical characteristics and limitations of your target materials, including minimum wall thickness, minimum wire thickness, embossing depth, clearance, etc… Design within these parameters for best results. Once you’re ready to print, just select your print target and material in the 3D Print settings panel. Then send it to print using the 3D->3D Print… menu. If you’re using the Shapeways 3D printing service you’ll then be redirected to upload your model and complete the print order. A few days later, your print will arrive in your mailbox. 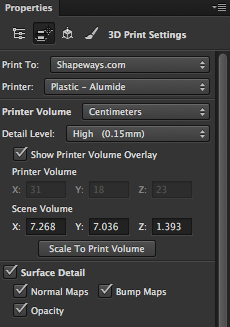 However, do not forget to double check your print volume/dimensions after you’ve uploaded your STL to Shapeways. I noticed that some of the minimum thickness checks made the pin too thick, so I generated the STL file for a plastic material, then chose the metal material when actually ordering the print through Shapeways. I’m really happy with how this turned out, and yes, I’m wearing this belt buckle right now. All of this was created in it’s entirety using Creative Cloud. Join now if you haven’t already become a member! If you’re going to be at Photoshop World next week in Atlanta, stop by to check it out and learn more! 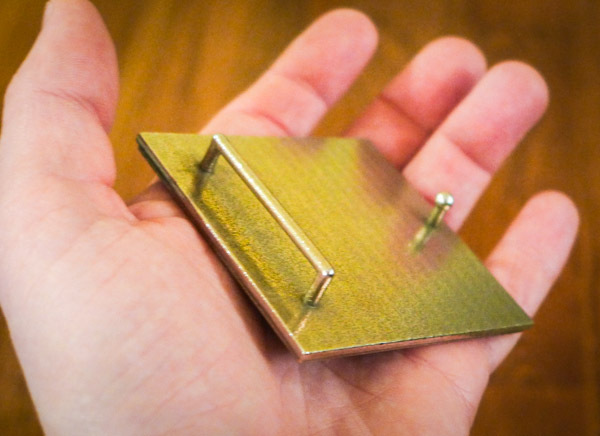 3D printing has the potential to completely change how people create physical objects. It enables faster prototyping and iteration in design and manufacturing, enables new forms of artistry and jewelry, and even has applications in medicine. If you haven’t checked out 3D printing yet, you really should do yourself a favor and give it a few minutes of your time.